Manufacturer of a wide range of products which include bottle closure stock. We manufacture Bottle Closure Stock. We can supply it in a coil as well as sheet form according to the customer’s requirement. 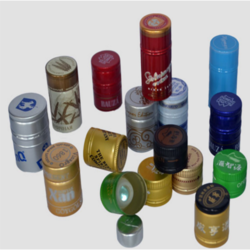 Aluminum Closure Stock can be used in pilfer-proof caps and vial seals.